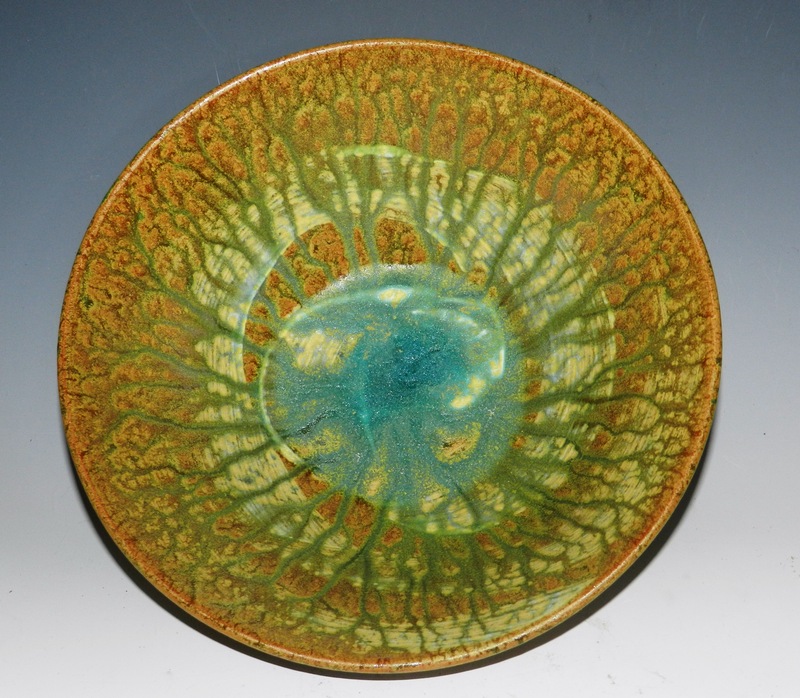 Making wheel thrown ceramic bowls that depict nature has always inspired me. 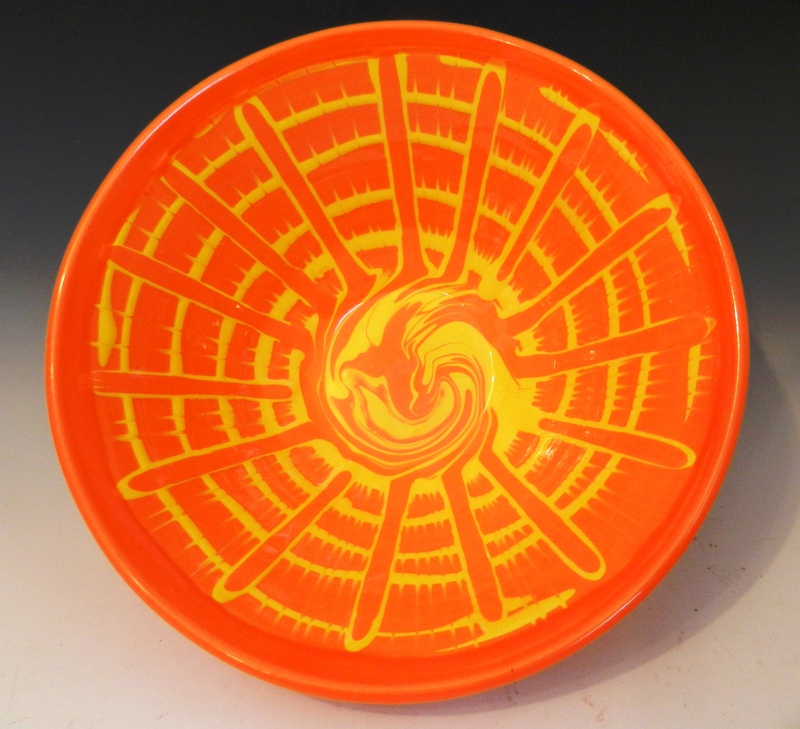 This bowl was made to depict the sun. The vivid color will certainly add some pop of color to any room in your house! Impress your friends and family by serving your favorite dish in this! 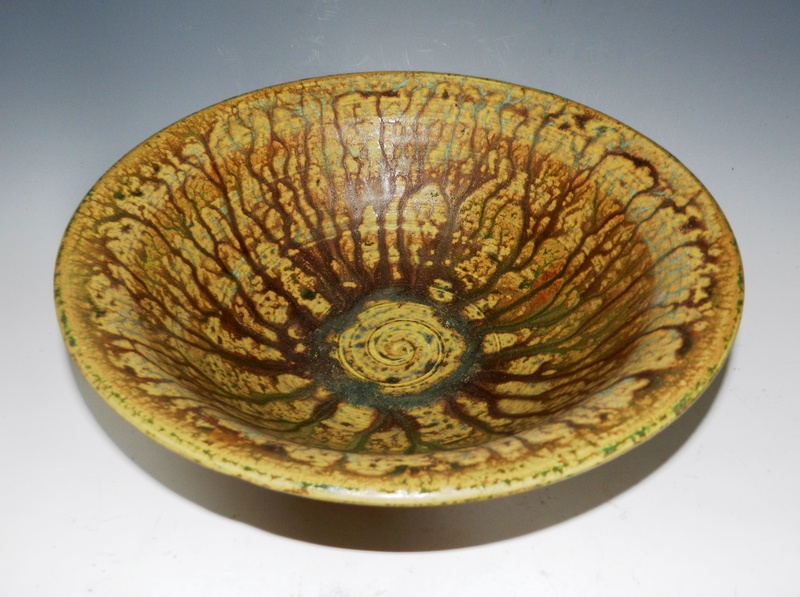 I made this bowl on my potters wheel. 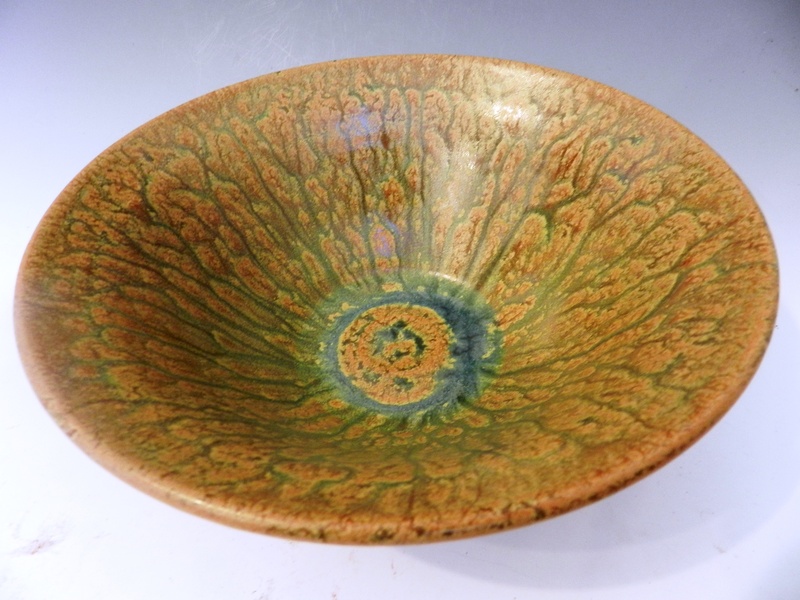 I then used some slips mixed mason stains to create the color and design. There are two techniques I used. One is called slip trailing and the other is called feathering. 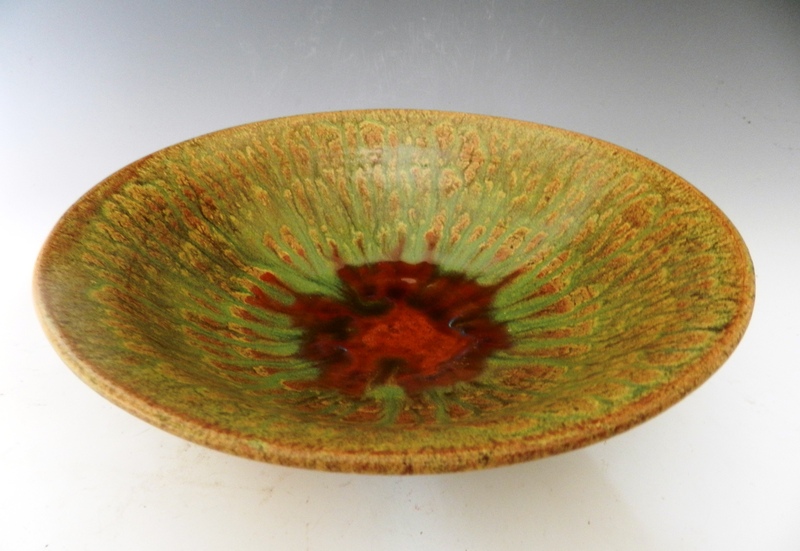 after the first firing, I applied a clear glaze on the inside and a yellow and orange glaze to the outside and fired this bowl again. All materials used to make this are non toxic and food safe. It is also safe for microwave and dishwasher use. It measures 10 1/2 inches wide and is 4 1/2 inches tall. Thank you for looking! 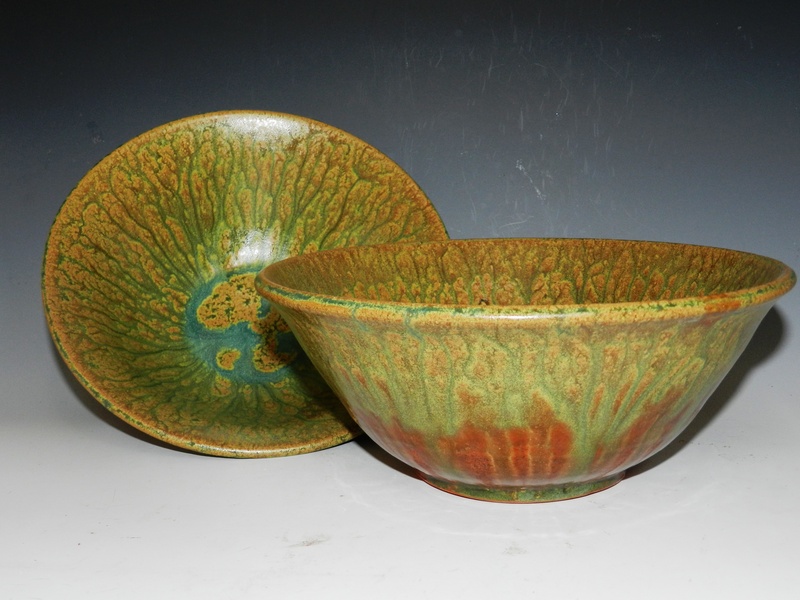 This are terracotta bowls with a glaze called California Dreaming on it. 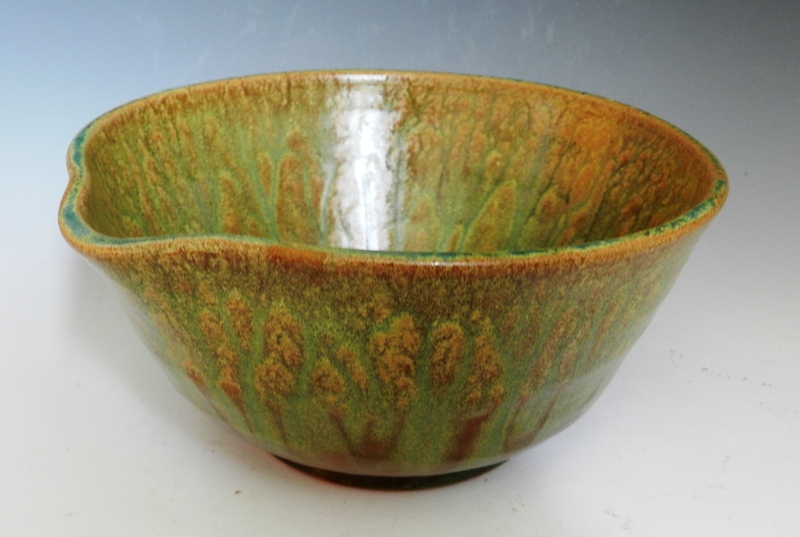 Here is a link to see my bowl on their website. I have a bowl in Sunset magazine right now! Local news story of my random 27 acts of kindness blog. Here is a local news story of my project. I even wore my favorite tie dye shirt in it!